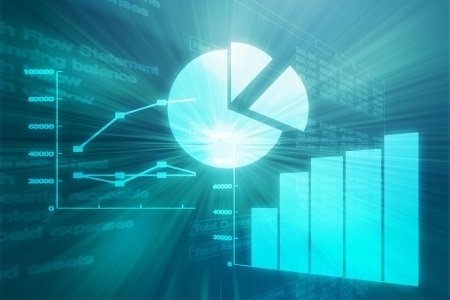 In March 2019, healthcare data breaches continued to be reported at a rate of one a day. 31 healthcare data breaches were reported to the HHS’ Office for Civil Rights by HIPAA-covered entities and their business associates. The March total is almost 14% higher than the average of the past 60 months. 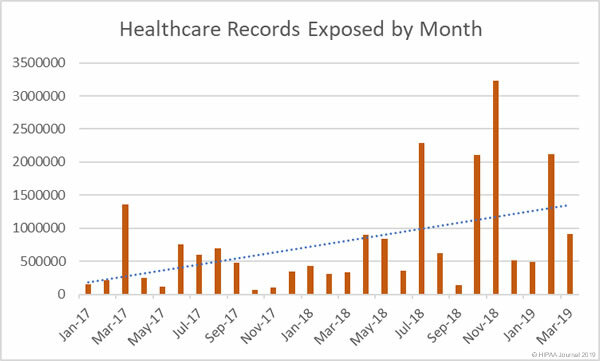 The number of reported breaches fell by 3.12% month over month and there was a 56.79% decrease in the number of breached healthcare records. March saw the healthcare records of 912,992 individuals exposed, impermissibly disclosed, or stolen as a result of healthcare data breaches. The HHS’ Office for Civil Rights groups together hacking and other IT incidents such as malware and ransomware attacks. This category dominated the breach reports in March with 19 incidents reported. Hacking/IT incidents accounted for 88.40% of all compromised records (807,128 records). 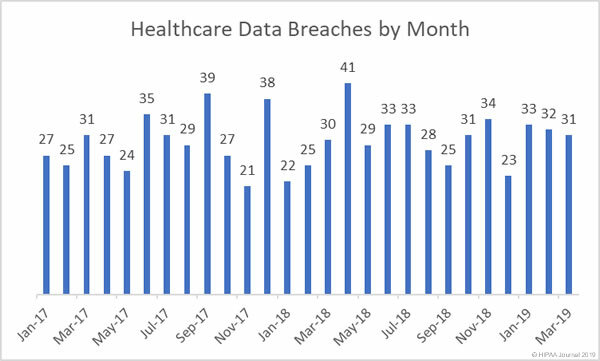 Email incidents dominated the March 2019 healthcare data breach reports with 12 incidents reported that involved ePHI stored in emails and/or email attachments. The vast majority of those email breaches were phishing attacks. There were 8 hacking/IT incidents involving network servers – A combination of ransomware attacks, hacks, and the accidental deactivation of security solutions. Healthcare providers reported the most healthcare data breaches in March with 22 reported incidents. 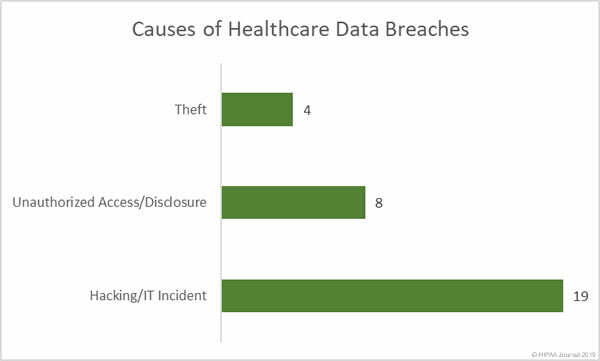 4 breaches were reported by health plans and there were 5 data breaches reported by HIPAA business associates. A further four breaches had some business associate involvement. 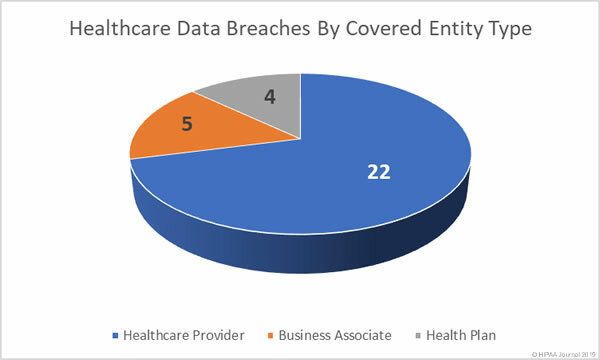 Healthcare organizations/business associates based in 19 state reported data breaches in March 2019. Three data breaches were reported in each of California, Ohio, and Pennsylvania. Two breaches were reported in each of Arizona, Idaho, Maryland, Massachusetts, Minnesota, Oregon, and South Carolina. One breach was reported in each of Arizona, Connecticut, Florida, Georgia, Indiana, Mississippi, Missouri, New York, and Oklahoma.